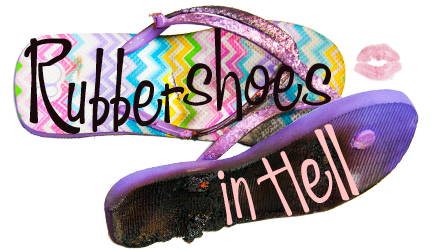 Family - Rubber Shoes in Hell - Often tired, but rarely listless. I want to thank all of you who supported us and our granddaughter, McKinlee during her illness. Whether it was your good thoughts, donations to the Gofundme campaign we started or promoting the campaign. I will appreciate you all of my days. I am heartbroken to tell you that McKinlee died on Tuesday, May 2. Her time on earth was short, but fierce. She fought every single day of her life. In the end, she succumbed to CHD. I will be forever grateful that I got to share time on earth with McKinlee. Her presence generated infinite love and we need all the love we can get. I will be back soon, but we are going to need to cling to each other as a family for a while and figure out how life works now. Be good to each other. Go kiss someone you love. Squeeze them and let them know how happy you are that they exist. We need more love in the universe. I had never heard the name McKinlee before my stepdaughter told me that was what they would name their daughter. Because I am me, I had to challenge her choice, ever so slightly. Mostly, because my stepdaughter is one of my favorite people to tease. Stepdaughter: I guess. Except spelled different. As it turns out, our granddaughter is aptly named. McKinlee, our little mountain climber, has endured more in her 4 short months of life than most of us ever will. She has endured health issues that would bring a body builder to their knees. McKinlee has had 5 open heart surgeries, 4 heart caths, a diaphragm plication, a Nissen procedure, a trach and g-tube and numerous smaller surgeries, such as chest closures. My stepdaughter and her family have been battered and bruised by this gut wrenching, terrifying situation. Randy spent a month with his daughter and her family (two different trips) and I know he was helpful, but they are going to need more help than donated time. You guys, this is financially devastating. I know that I can’t fix that for them, but if we can raise enough money just to get them through another month without worrying how to pay their utilities and mortgage, then so be it. Anyway, if you feel comfortable with this, would you mind sharing this Gofundme campaign on your social media pages? Randy and I would appreciate that so very much. Also, give this article a read. It’s heartbreaking and eye opening. I had no idea how many babies are affected by congenital heart defects or how grossly underfunded research for congenital heart defects is. Here is the link, again, for my stepdaughter’s Gofundme. Throughout this, my stepdaughter has found time to laugh, to spend time with her older daughter, and to be her ornery self. I have no idea how she makes it through her days. I have no idea the depth of her well of strength. I only know that I see her through new eyes and I am in awe and humbled by her. Just don’t tell her I said so because I will never hear the end of it.